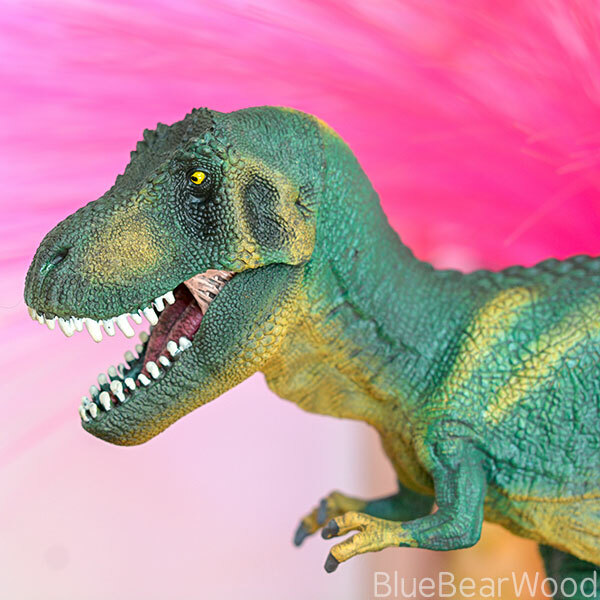 It’s now even easier to get your hands on Schleich animal figures as they’ve now teamed up with George at Asda and a whole heap of fabulous figures are available including this rather ferocious Tyrannosaurus Rex (T-Rex for short). 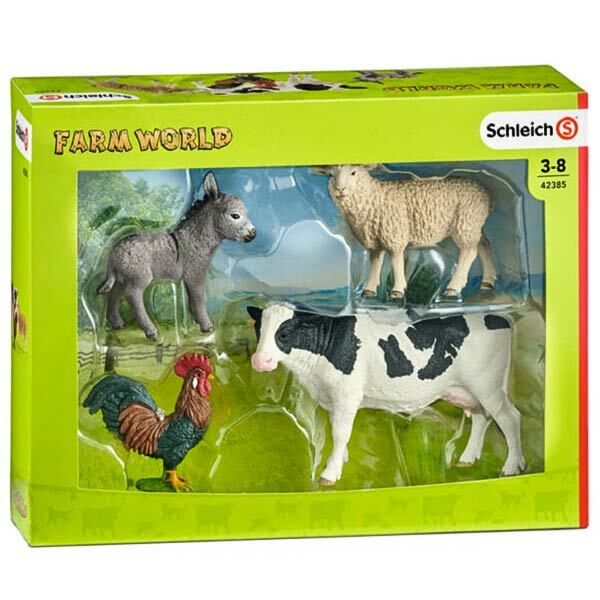 Schleich is a long established global brand well known for its high quality, hand-painted figures so it’s nice to see them making them more easily available by partnering with a George at Asda. Approximately 30cm from snout (do T-Rex’s have snouts?) 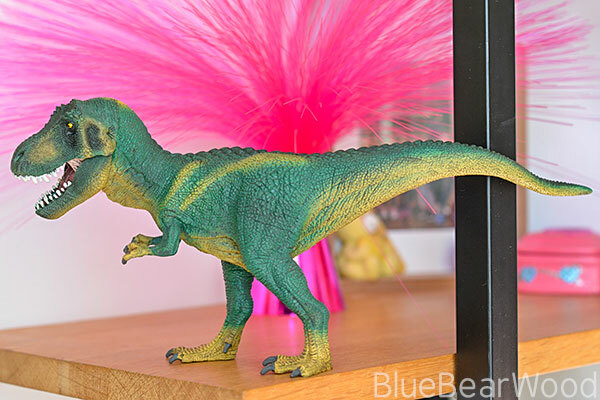 to tail, this Schleich dinosaur is full of amazing detail. The jaw is hinged revealing a large textured tongue, a ridged roof of the mouth and of course ferocious teeth! The scaled skin is a wonderful mix of textures that reveal muscle tone, sags, creases and of course beautiful ornates ridges down the spine and on the face. 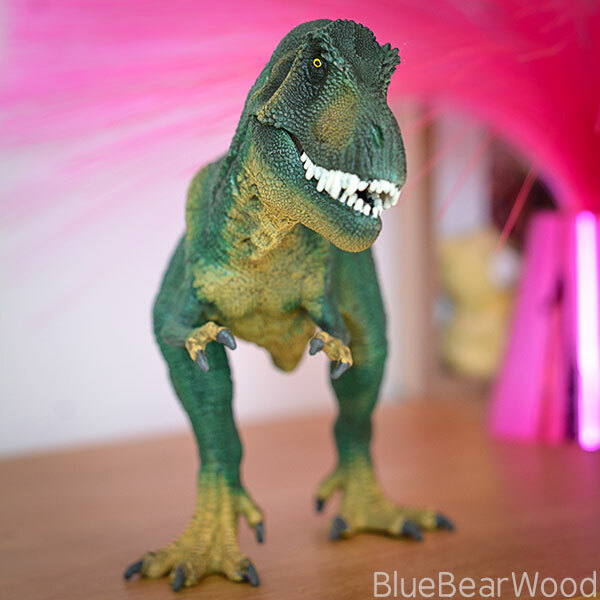 And strong solid clawed feet keep the T-Rex beautifully balanced and solid. It’s hard not to admire this stunning beast. The Farm World (42385) set is just as good quality. 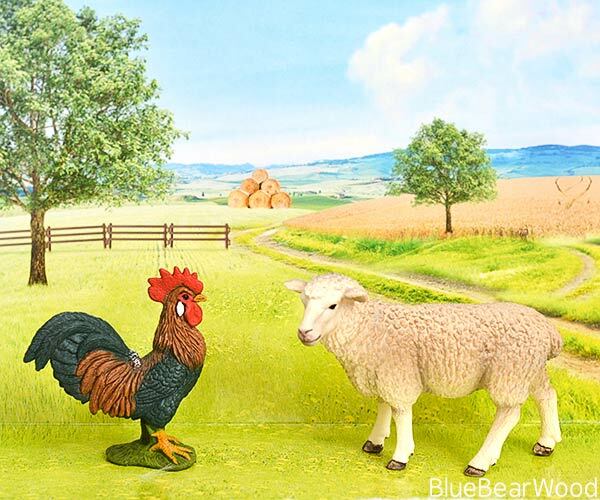 All the animals are a lovely size and have a nice weight to them and inside ‘farm panorama’ packaging image can be pulled out and makes a great backdrop for displaying the animals and/or playing with. 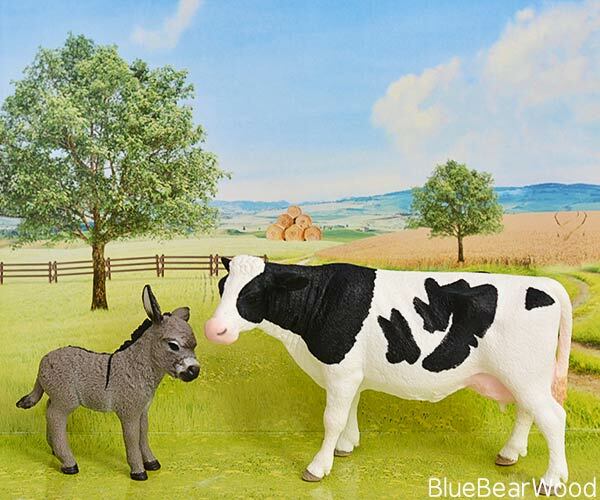 Donkey and cow are the same. 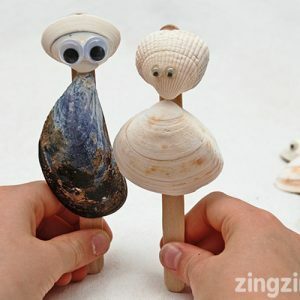 Both have amazing detail (hair in the donkey’s ear, veins in the cow’s udder and underbelly) and expressions that really seem to capture the caracter of the animals. The farm animals are also all solid on their feet (there’s no wonky donkey going on here) and I love that the heads are turned slightly so that they feel like they’re watching what’s going on. And if you fancy winning your own Schleich T-Rex pop over to my Facebook page as I have a competition over there. « Have You Met The Fuggler Soft Toy You’ll Love To Hate?